Preheat oven to 300 degrees. In a large bowl combine sour cream, cream of chicken soup, and green enchilada sauce. In a separate medium bowl combine chicken, onions, and 1/2 the can of black olives. Add half of sour cream mixture to the chicken and mix well. Butter a 9 x 13″ baking dish. Fill each tortilla with chicken mixture, top with a small amount of cheese and roll. Place rolled tortilla’s side by side in baking dish and cover with remaining sour cream mixture. 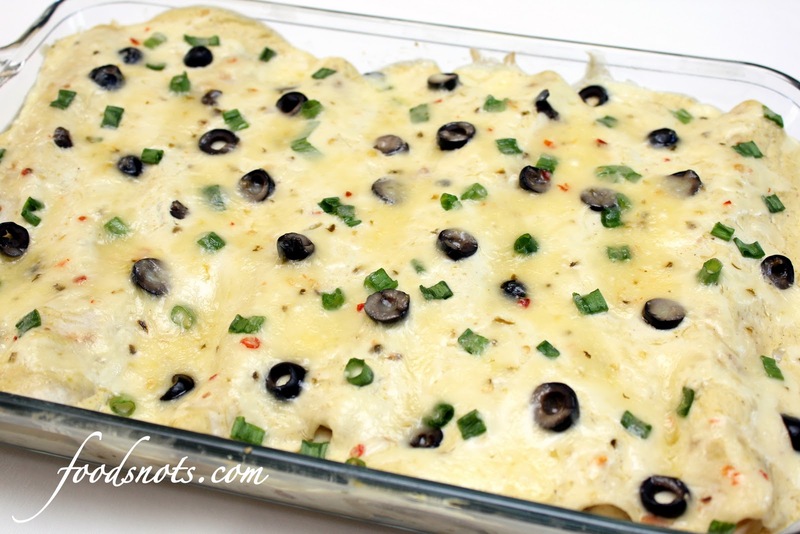 Top with remaining olives, additional green onions, and grated cheese. Bake at 300 degrees for 30 minutes.